Oregano provides an array of nutritional vitamins and minerals including Calcium, Copper, Iron, Magnesium, Manganese, Potassium, Vitamin A, Vitamin B6, Vitamin C, Vitamin E, Vitamin K and Folate. 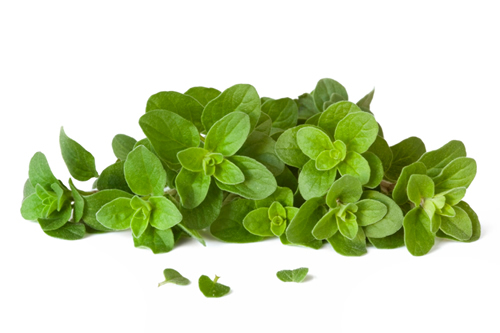 Oregano is also an anti-bacterial and anti-oxidant herb. Although oregano contains the vitamins and nutrients required by the immune system, its primary benefits are owed to its carvacrol and rosmarinic acid content. Both compounds are natural decongestants and histamine reducers that have direct, positive benefits on the respiratory tract and nasal passage airflow. Oil of oregano fights off the dangerous bacteria Staphylococcus aureus, better than the most common antibiotic treatments. Try this Creamy Oregano Dressing. It is not only high in protein but loaded with IMMUNE BOOSTING ingredients. This entry was posted on March 7, 2015 by thrivecoach12 in Herbs & Spices, Nutrient Values and tagged anti-bacterial herb, anti-oxidant herb, natural decongestants, nutritional vitamins and minerals, Staphylococcus aureus.